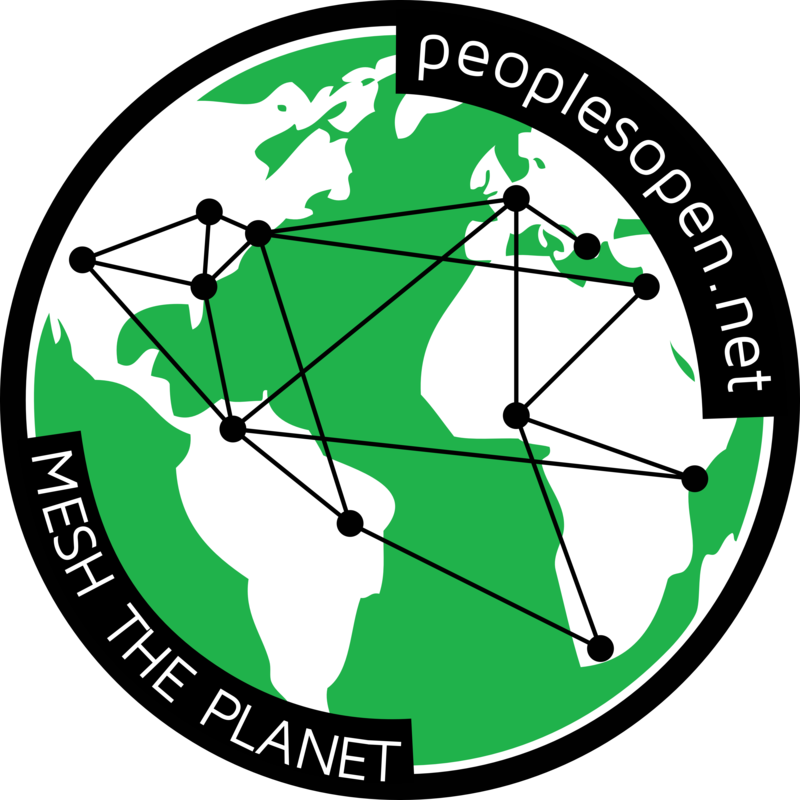 On Sunday, August 27th, 2017, we expanded the People’s Open network into the Glenview neighborhood of Oakland, CA. Perched on Park Blvd, overlooking Trestle Glen and the Grand Lake commercial district, this neighborhood provides plenty of sweeping sightlines of Oakland, Piedmont, and even across the Bay to San Francisco. The first node in the Glenview neighborhood was placed on the roof of one its more well-known residents, puppeteer and avid gardener, Larry Schmidt. As a resident of the neighborhood for almost twenty years, Larry has made it his mission to bring people together and revitalize a community that he felt was in recession. 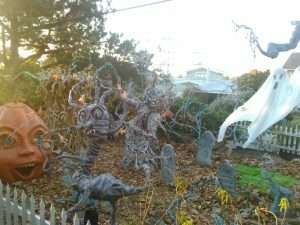 His efforts began innocently enough with a “fun sized” Halloween party in 1991 that involved a box of worms and a living room puppet show for a handful of neighborhood children. This eventually grew into a full size yard haunt, like the one pictured above, that enticed trick-or-treaters from all over Oakland with a bevy of animatronic witches, goblins, and skeletons. While others would have rested on their laurels or basked in the spotlight, Larry used this new-found attention to give back to his community. He set out on building his own marionette puppet show in the driveway of his home on Greenwood Ave. An artistic, yet lighthearted masterpiece, Driveway Follies now draws over a thousand people to the typically quiet Glenview neighborhood every Halloween for three nights of puppet shows, apple cider, and, of course, the haunt that started it all. Needless to say, the home of Driveway Follies seemed like the ideal location to add the neighborhood’s first People’s Open node. Pointing further up the Oakland Hills into Piedmont, the node is looking for a friend to mesh with and maybe partake in some Halloween Spooks!